Vogue editors know their jewelry, so when it comes to engagement rings, we trust their opinions. In a recent article, various editors at the magazine gave their advice in regards to the ideal engagement ring size, and their answers were surprising. Many of the fashion-forward staffers said that too-big engagement rings are not stylish, and that subtlety is a much chicer approach. "I have found that I am perpetually drawn to women who wear subtle, interesting jewelry. Why would you want a ring that would make you feel uncomfortable wearing it to the grocery store?" said one editor. Hey, if you're going to wear it forever, you may as well stick with something unique that speaks to your style. Another editor believes that over-the-top rings are just plain too much. "When you start to approach Mariah Carey territory, you might want to take a step back. You're about to lay down more than most people's salary on a diamond. When was the last time you donated to charity?" A third editor pointed out that a flashy ring could mean you're just a show-off. "If you go out and buy something gigantic—the ring equivalent of a McMansion—it always reads to me as you've got something to prove." 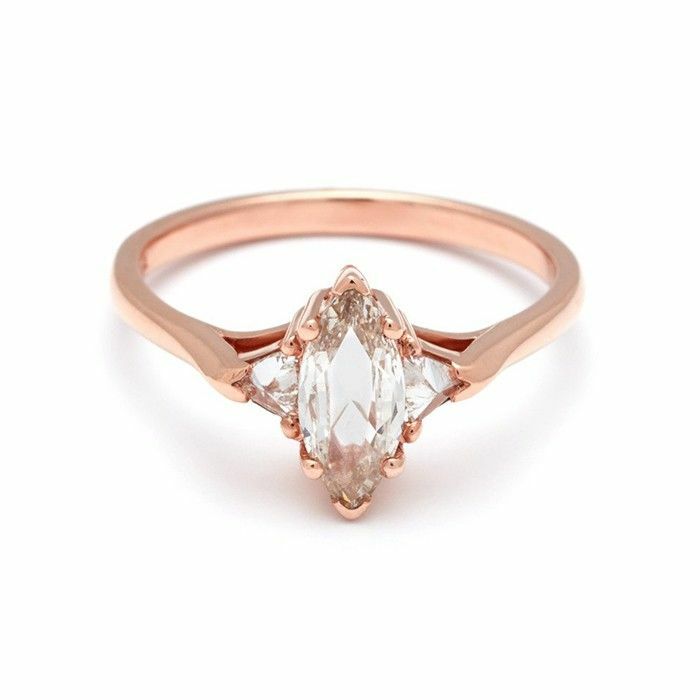 Keep scrolling to shop our favorite modest yet unique engagement ring picks. What do you think makes an ideal engagement ring? Tell us in the comments!